You can make use of your proxy server to connect to CloverDX Server, too. The proxy server has to support HTTP 1.1. Otherwise all connection attempts will fail. 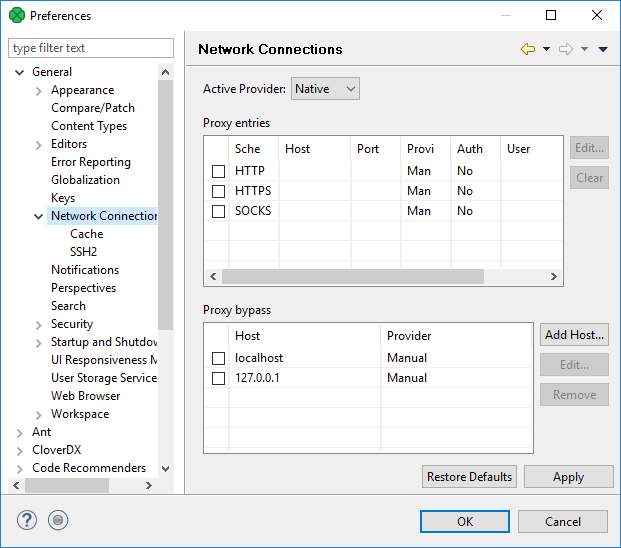 For more information on handling proxy settings, go to the Eclipse website.